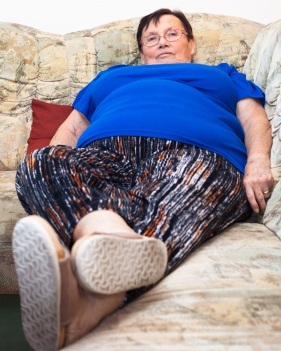 Divergent perceptions and attitudes about obesity may jeopardise obesity management outcomes, according to findings from the Awareness, Care & Treatment In Obesity Management (ACTION) study. The findings were presented at Obesity Week 2016, the fourth annual combined congress of the American Society for Metabolic and Bariatric Surgery and The Obesity Society. ACTION is the first national study to investigate barriers to effective obesity management from the perspective of people with obesity, healthcare professionals (HCPs) and employers in the US. The study was designed to generate insights to improve obesity care, education and support for the nearly 79 million people in the US living with obesity, a condition that was recognised as a chronic disease by the American Medical Association in 2013. "Obesity must be understood as a serious, often progressive disease requiring both prevention and treatment strategies to bring it under control" said Dr Lee Kaplan, director of the Obesity, Metabolism and Nutrition Institute at Massachusetts General Hospital Weight Center and ACTION steering committee member. "The value of the ACTION study is that it clearly identifies the challenges that must be overcome, and underscores the critical need for multiple communities working together to develop and implement effective solutions." One such challenge, according to study findings, is that most people with obesity (PwO) (65%) perceived obesity as a disease; however, most (82%) considered weight loss to be "completely" their responsibility. While PwO (73%) reported that they had discussed weight with an HCP, 36% indicated they did not seek support from their HCP for weight loss. Another significant barrier to care revealed by the study was an inconsistent HCP-patient dialogue about weight management. Although HCPs (72%) felt they had "a responsibility to actively contribute" to patients' weight loss efforts, only 55% of PwO reported receiving an obesity diagnosis from an HCP. Also, only 16% of PwO reported having a follow-up appointment with their HCP following initial conversations about obesity management, and whereas HCPs said they were "comfortable" having obesity management conversations, their efforts were often deprioritised due to limited time. The study also found that despite several "serious" weight loss attempts, only 23% of PwO reported a 10% weight loss during the past three years, and of those, 44% maintained weight loss for more than one year. These data suggest that initiatives which foster greater understanding among HCPs of their patients' beliefs, and facilitate more robust dialogue about weight management, could positively impact obesity management efforts.